A fresh snow had just fallen creating a world of beauty. I was the only one in this area of the park this morning and had the stillness to my self. 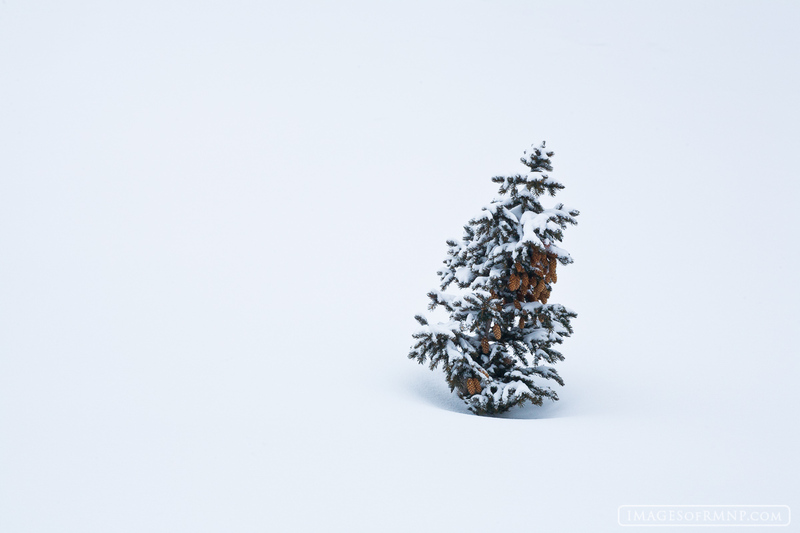 This lone pine up near Dream Lake was also there, off by itself to enjoy the calm quiet of the fresh snow. Photo © copyright by Erik Stensland.